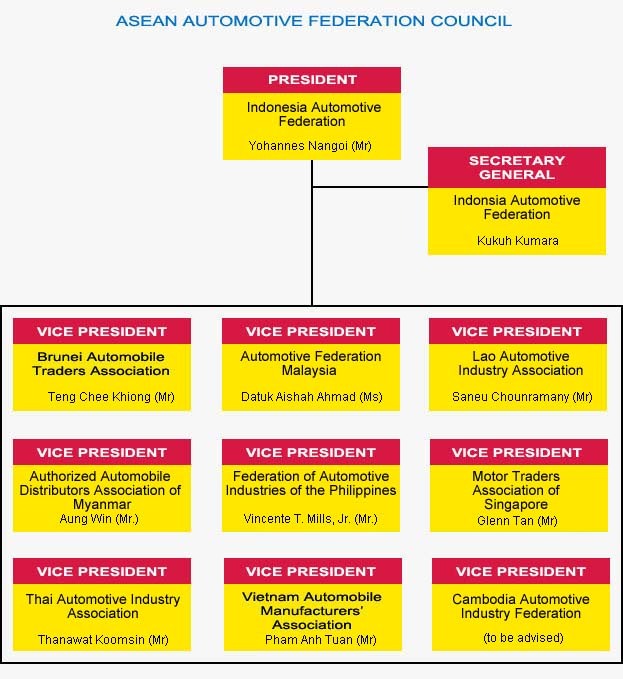 The ASEAN Automotive Federation was first established in 1976, but activities ceased in 1983 as the National Automotive Associations in each ASEAN country focussed their efforts to develop their respective national automotive industry. 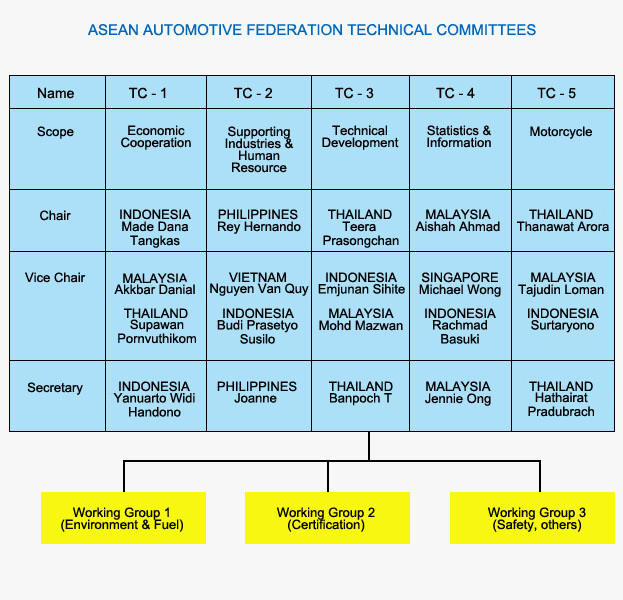 In 1996 with the implementation of AFTA and its schemes, the ASEAN Automotive Federation was revived as a common platform to work with ASEAN Governments and ASEAN Secretariat towards achieving AFTA. “ASEAN with a strong and integrated vehicle and parts & components market supported by globally competitive automotive manufacturing industry”. “To promote automotive market integration and growth, cooperation and investments in the ASEAN region”. “To increase ASEAN market share and industry capability in the global automotive business”.